Sundance Square officials say the plaza under construction is on track to open in October 2013. Officials provided an update to the Fort Worth Chamber of Commerce during a luncheon Wednesday. "Most of the restaurant spaces that we've outlined in the plaza are already committed; a number of the retail spaces as well," said Johnny Campbell, president/CEO of Sundance Square. "We're also starting to see some office leasing activity around. It's very exciting." 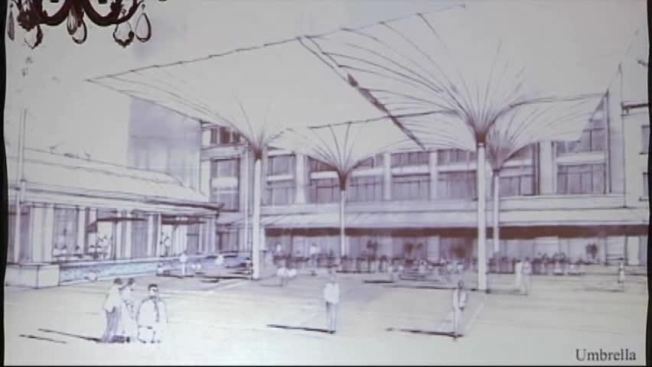 Campbell also said the plaza will have an area with 32-foot umbrellas to provide protection from the sun and rain. It will also have interactive fountains and a 20-by-40-foot projection screen attached to one of the buildings for movie nights. Joy Wade of the Fort Worth Convention Center said all of the features are beneficial to the city. "It's just going to help us market Fort Worth even more as a regional destination in North Texas, but also in national groups -- we want to bring their conventions here," Wade said. Since the May groundbreaking, the area around Sundance Square has been filled with the hubbub of daily construction for the long-awaited plaza that will be square's centerpiece. "It's kind of a final completion of what was the original Sundance Square," Campbell said.